Clinical studies for the development of new drugs in the pharmaceutical industry consist of a number of individual tasks which have to be carried out in a pre-defined chronological order. Each task requires certain types of medical personnel. 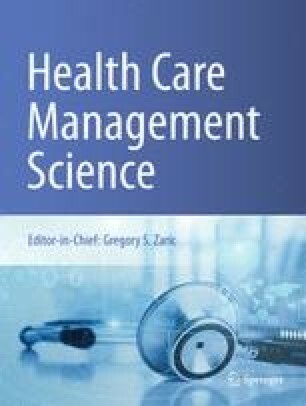 This paper investigates the scheduling of clinical studies to be performed during a short-term planning horizon, the allocation of workforce between the studies, and the assignment of individual employees to tasks. Instead of developing a complex monolithic decision model, a hierarchical modelling approach is suggested. In the first stage, a compact integer optimization model is solved in order to determine the start-off times of the studies and the required staffing while taking the limited availability of personnel into account. The objective is to minimize total staffing costs. The assignment of individual employees to tasks is then made in the second stage of the procedure using a binary optimization model.